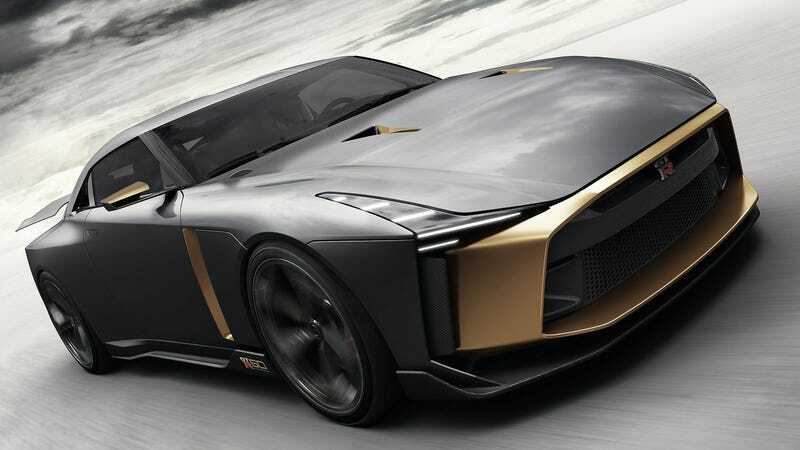 The Nissan GT-R50 by Italdesign that we saw last month was, in a word, polarizing. I thought it looked great. Most of you disagreed. Well, if I had over a million bucks, I’d buy one just to spite all of you. The GT-R50 prototype will show its face at this year’s Goodwood Festival of Speed next week. Italdesign will make only 50 examples and has estimated the price to start at around €900,000, which is approximately $1.1 million. Over a million bucks for a gilded GT-R with 720 horsepower! Does that sound worth it to you? Because it sure does to me. But mostly, I’d buy it just to display it in places where I know it would offend people. Like at a Mustang meet. Or at the Ferrari owner’s club. And the monthly Porsche wine and cheese soirée. I’d park it right in the direction of the setting sun and let the reflecting golden rays blind the haters.